After the West London Museum suffers extensive fire damage, the shop owners on Baker Street come together to hold an afternoon auction tea to raise funds to rebuild it. Cape Cod's cognoscenti file into Mrs. Hudson's Tea Room, but the auction never happens. Before the gavel can fall, museum-board chair Kathy Lamb is found dead in the back room. Wrapped tightly around her neck is a long rope of decorative knotted tea cups. Gemma's boyfriend in blue, Ryan Ashburton, arrives on the scene with Detective Louise Estrada. But the suspect list is long, and the case is far from elementary. 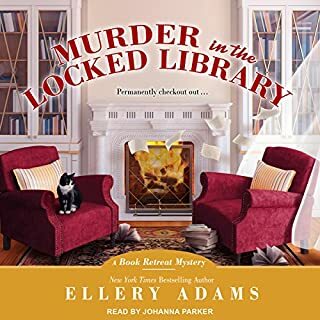 Gemma and Jayne are busy managing both the bookshop and the adjoining Mrs. Hudson's Tea Room in anticipation of the upcoming book signing with Renalta Van Markoff, the author of the controversial Hudson and Holmes series. However, tragedy strikes during the author Q&A session of the signing when a dedicated Sherlockian verbally attacks the series for disgracing Sherlock's legacy and is then publicly humiliated when the author triumphantly lashes back and gains the upper hand - that is, until she collapses on the table and is pronounced dead. 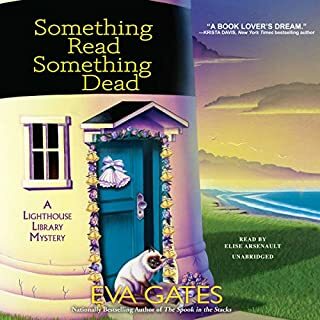 When Gemma finds a rare and potentially valuable magazine hidden in the bookshop, she and her friend Jayne set off to find the owner, only to stumble upon a dead body. The highly perceptive Gemma is the police's first suspect, so she puts her consummate powers of deduction to work to clear her name, investigating a handsome rare books expert, the dead woman's suspiciously unmoved son, and a whole family of greedy characters desperate to cash in on their inheritance. 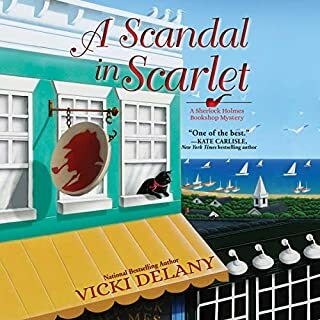 Trouble is brewing in the small town of Trafalgar. 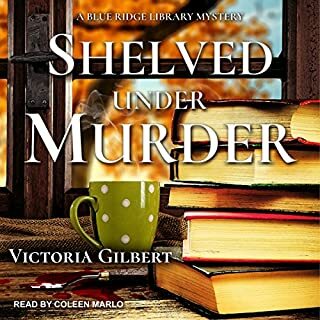 Constable Smith nearly stumbles over a body, the victim of a murder. The deceased was a highly unpopular newcomer who had big plans for developing a luxury resort outside of town. Even an experienced pet sitter like Daphne Templeton can be fooled by animal behavior: how can an adorably tiny fuzz ball named Tinkleston be capable of sudden flying leaps with cat claws bared? 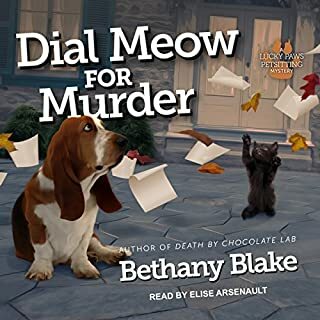 But human behavior remains even more mysterious, especially when Tinkleston's owner is murdered on the night of a gala fundraiser for Fur-ever Friends Pet Rescue. 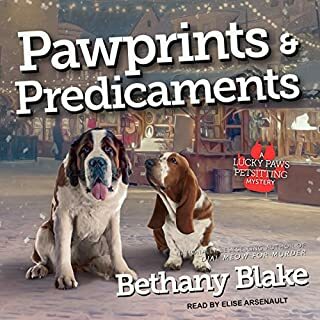 Accompanied by her unflappable basset hound, Socrates, Daphne plans to take charge of Tinks the Terror and leave the crime-solving to handsome detective Jonathan Black. 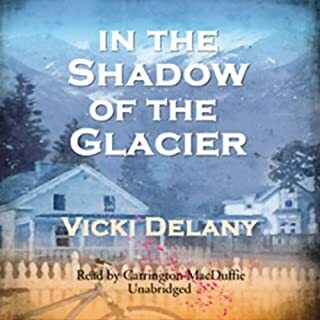 When paramedic Ashley Grant finds her boyfriend in bed with another woman, she moves out of her house (okay, his house), quits her job, and takes a new one in a tiny Caribbean country, the Victoria and Albert Islands. Ashley is thrown into the deep end when she arrives. 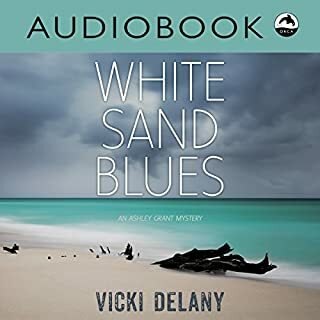 Her new colleague picks her up at the airport in the island's only ambulance, which is called to the discovery of a body floating off the beach at the exclusive Club Louisa. 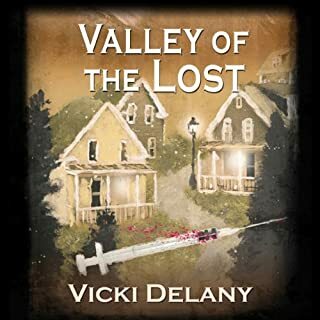 In the bucolic mountain town of Trafalgar, British Columbia, a young woman is found dead of a heroin overdose, her baby lying at her side. While this should be an open-and-shut drug case, restraint marks on the victim suggest that the death might not have been completely accidental. Legendary stage and movie star Sir Nigel Bellingham arrives on Cape Cod to star in a stage production of The Hound of the Baskervilles put on by the West London Theater Festival. 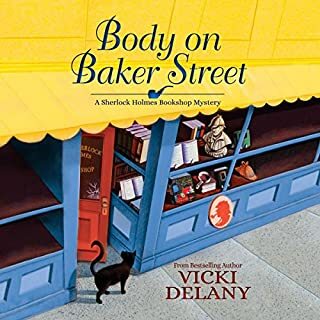 When Sir Nigel, some of the cast, and the director visit the Sherlock Holmes Bookshop at 222 Baker Street, Gemma Doyle realizes that Sir Nigel is not at all suited to the role. He's long past his prime and an old drunk to boot. The cast is not happy, but the show must go on. Before the play opens, Jayne's mother arranges a fundraising afternoon tea to be catered by Mrs. Hudson's Tea Room. The tea is a huge success, but, when it's time to leave, Sir Nigel has gone missing - only to be found at the bottom of the rocky cliff, dead. 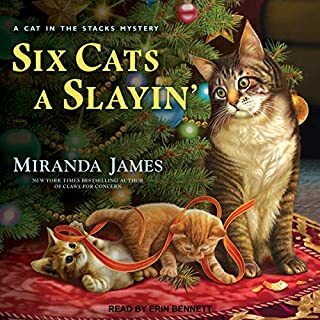 When the police focus their attention on Jayne's mother despite numerous other suspects, the game is once again afoot, and it's up to Gemma and Jayne to clear Jayne's mother's name. This woman, Ms Doyle-who calls herself ‘observant’ and claims some sort of Sherlockian ability to assimilate observations into crime solutions- is actually an insufferable know it all! I could not see it through to the end, but I am sure she solved the murder, and of course taught the police a lesson or 3 about crime solving. 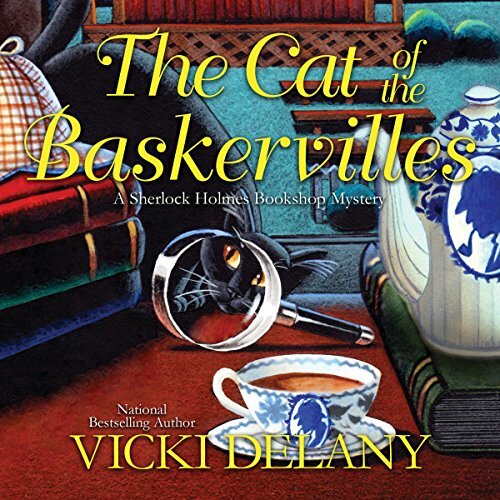 Gemma Doyle, proprietor and co-owner of the Sherlock Holmes Bookshop and Emporium returns in Vicki Delany's The Cat of the Baskervilles, set in West London, Massachusetts, where the West London Theater Festival is putting on a stage production of The Hound of the Baskervilles. They have hired Sir Nigel Bellingham, whose claim to fame was having starred as the general 40 years earlier in the movie trilogy Roman Wars. But when Sir Nigel comes to West London and the Sherlock Holmes Bookshop and Emporium, Gemma and the Sir Nigel enthuasts discover that the man is drunk and not the most affable. But then Jayne Wilson, Gemma's best friend and partner in Mrs. Hudson's Tea Room, gets thrilled to be invited to cater an afternoon tea at the home of Rebecca Stanton, president of the theater festival, to raise money for the costs of putting on this play. With 130 people to cater for, Jayne, Gemma, and their staff stay busy wining and dining the guests, who each paid $200 to attend and meet the great Sir Nigel, who arrives intoxicated and gets drunker throughout the course of the afternoon. When tea is finished, they ask Sir Nigel to give a recitation from The Hound of the Baskervilles, but he proves unable to do so, whether because of his drunken state or his poor knowledge of the play. Fortunately, Eddie, his understudy, steps in and impresses everyone. 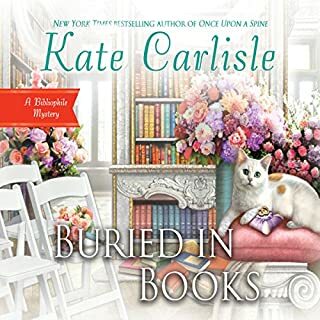 As the program has ended, Gemma begins to wonder what has happened to Sir Nigel and goes out searching, along with her friend Grant, a rare book collector. As they near the cliff, they spot a red cravat on a bush near the edge and, bending over, see the body of Sir Nigel on the rocks at the bottom of the cliff. As Grant goes to summon the police, Gemma ckimbs down to the body, just in case he is still alive. But not only does she find him dead, she finds a small piece of one of the aprons used by the serving staff, making this potential murder personal to Gemma. 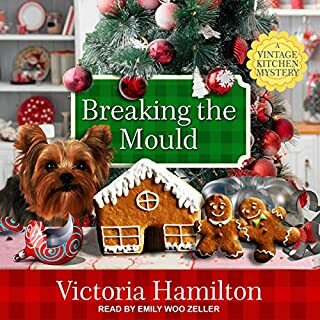 And then as the police zero in on Leslie Wilson, Jayne's mother, Gemma determines to get to the truth before her best friend's mother may get arrested. 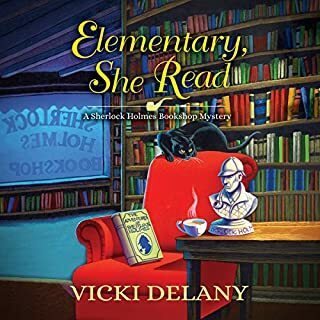 The Cat of the Baskervilles is another delightful addition to Elementary, She Read and The Body at Baker's Street. 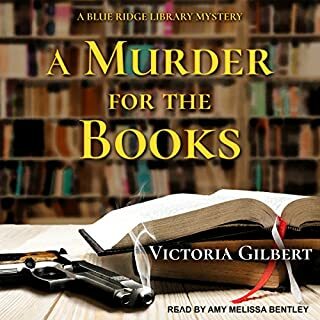 I love this particular pastiche of the Sherlock Holmes books and am impressed by the way Gemma plays Holmes without seeing herself as a Holmes character. Her relationship with Jayne develops throughout the course of the book, and it is nice to see the two as real people. 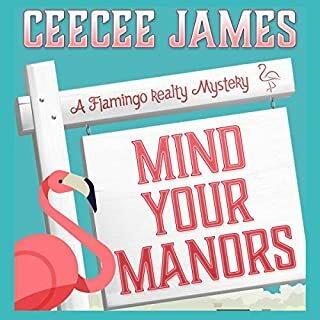 Further, we see the way Detective Louise Estrada shows her ever- growing hatred and resentment of Gemma, while Gemma's ex-boyfriend, Detective Ryan Ashburton, tries to find a legitimate balance between the two. The plot contains many interesting angles, which kept me drawn to the book and unable to put it down. I was intrigued by all the deductions and especially loved the ending. This book was a little less riveting than the previous books, but perhaps that was a result of my already having read the previous two books and not being as surprised by Gemma's gifts. Kim Hicks performs the audio version of this book. I confess to preferring the work of Kelly Clare, who narrated the first two books, but Hicks does a good job. The role requires someone able to handle both a British and an American accent. I really had fun with The Cat of the Baskervilles. This book created plenty of delight as I listened to it. The characters and the plot joined together to make the book a great listening experience. I give it five stars. I was so disappointed. Not much of a mystery. Too bad: characters and setting are charming. 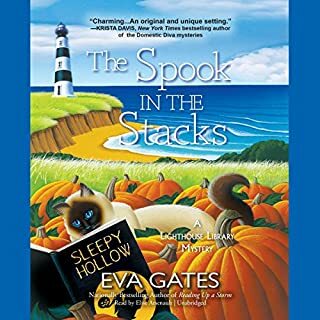 Unless I am hopelessly gaga and missed something huge, the cat in the title had nothing to do with solving the mystery and nothing to do with the saga of the Baskervilles. Is that a plot spoiler? Anyhow...I expected something both spooky and clever based on the title.The story was neither. 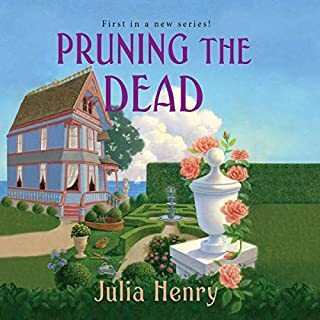 Kim Hicks, one of my favorite British narrators, seemed lost with New England and California accents, which also surprised me. I might try another book in the series, because I did like the setting and characters, however, it won't be soon.